During the 2017 season, we welcomed five groups of young carers from across Scotland, East Dunbartonshire, Glasgow, Edinburgh, Falkirk, and Argyll and Bute. Using our close links with carers’ organisations we were able to identify those young carers most in need and who would gain a lot out of the experience. 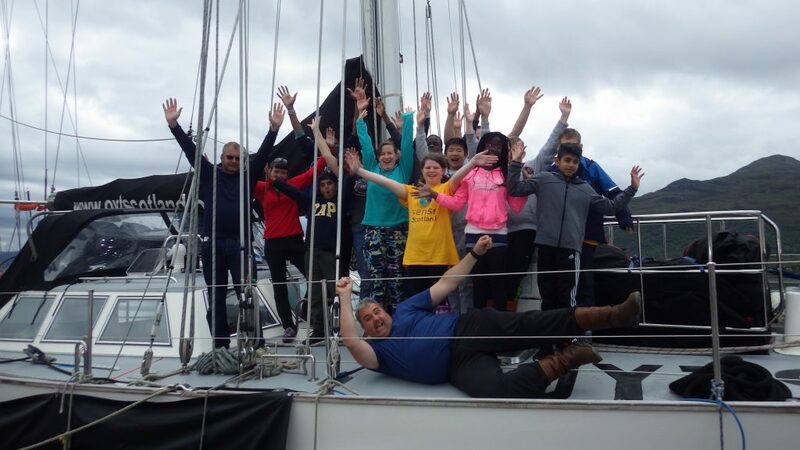 The voyages presented the young carers with the chance to step out of their caring role, and form strong friendships gain qualifications, and build life skills such as confidence, resilience and team work. Prior to going on the voyage, we conducted pre-voyage preparation sessions with the young carers to explain what they were about to embark upon. These sessions covered the day-to-day life on board the boat, ensuring that the young carers felt comfortable and confident about the trip. During their voyage, the young carers quite literally learned the ropes. They got the chance to steer the boat, navigate, help change sails, keep a lookout, and go ashore to explore. The young carers were supported by 2 group leaders, alongside Ocean Youth Trust Scotland’s experienced volunteers and staff. Setting sail from either Greenock or Oban, the groups explored many areas around the beautiful west coast of Scotland including Tarbert, Loch Ridden, Kyle of Lochalsh, Tobermory, Red Bay at Torridon, and Acarsaid Mhor. Experiencing all that the Scottish weather has to offer, the groups were lucky enough to spot dolphins, sea birds, minke whales, giant red jellyfish and more, all of which added to the adventure. Show Case Study Hide Case Study A difference Adventure Under Sail for Young Carers made: Carers and those they care for have improved physical, mental and emotional wellbeing. Being on board the boat presented exciting physical, mental and emotional challenges. Being outdoors in the fresh air, in a new environment and hoisting up big heavy sails is physically hard. Updating the boat’s log book and calculating the boat’s position requires mental ability, and being away from home, meeting strangers that you have to live with in a small space requires emotional fortitude. One group leader said of the young people, "all of them came away from the experience seeing it as a positive, something that they would never have expected to be able to do." One young carer Alex, said about his time on the voyage, "It allowed me to meet new people that I wouldn't be able to otherwise. I felt relaxed because I didn't have to look after my little brother." Alex’s mum Allison said about the experience that “Alex had the most wonderful time sailing. He was a little disappointed to come home which was rather unusual as he is normally a home boy! He made lots of new friends and added them to Facebook when he came home. Show Case Study Hide Case Study A difference Adventure Under Sail for Young Carers made: Carers acquired transferable skills that enhance their future employability. Our Adventure under Sail voyages provide a powerful and extremely effective environment for the personal development of the young people who undertake them. Working as a part of a close team builds social and life skills, develops problem solving and leadership skills, and requires the young person to take responsibility for their own actions and decisions. All of these are essential life skills which will help the young carers in the future. In addition to these soft skills, our voyages also present the participants with the chance to gain a number of accredited qualifications including Royal Yachting Association (RYA) Start Yachting and Competent Crew Qualifications. 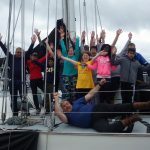 The young carers also have the opportunity to become a volunteer with Ocean Youth Trust Scotland following their voyage, providing further opportunities for the young carers to improve their transferable skills, gain experience, and continue to build their confidence. Show Case Study Hide Case Study A difference Adventure Under Sail for Young Carers made: Those cared for received improved care by their young carers. Carers come back more relaxed and have improved their wellbeing as a result of the time they spent on the voyage, meaning they are better able to look after those cared for. One young carer, Richard*, told us how the voyage made a difference to him when he got back home. Whilst the young carers may be excited for the voyage, more time needed to be spent putting the cared-for person at ease. Sometimes they were anxious and reluctant to let the young carer go away for a week. This highlighted to us the importance of working closely with carers groups beforehand. We learned the value of evaluation projects by independent researchers. These give us real evidence to take to other carers groups and get them on board quicker, allowing for more to be spent preparing the young people for the voyage. The young carers want a variety of different things from the voyage; some want to complete their Duke of Edinburgh awards, whilst others wanted to chill out and have some fun. We had to work to ensure that every young carer’s needs where met whilst on board. Think carefully when developing partnerships, it should be a truly collaborative approach. Build the service around the young people and ensure their voices are heard. Think carefully about training for staff and volunteers working with the young carers.